No technology company worth its salt (except Apple, who prefers to hold its own MacWorld) will give the Consumer Electronic Show (CES) a miss. Every year, thousands of companies flock to the show to introduce their latest, most advance product to the world. Never mind that not all products introduced at the show ever gets to the consumer market. The bottomline is, if people notice your product at the show, you're almost halfway there. Creative, as usual, made an appearance at the show, although I must say that it had the most dissapointing line-up of products. No major new Portable Media Player was announced, nothing ground breaking, hardly anything exciting. But then again, it would be foolish of Creative to release something just for the show. 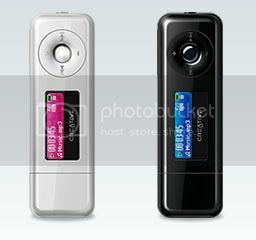 Word has it that Creative will unveal it's next generation of MP3 players in March, most probably at the IT Show in Singapore. Below is a round up of Creative's announcement at CES 2008. If you really love your iPod and your loved ones, the Xdock HD is for you. The Xdock will upconvert every video in your iPod into high definition and outputs videos in resolutions of 1080i and 720P. It also enhance music on the player to X-Fi and transmit it wirelessly anywhere in your house. It retails at $619 later part of this year. These cute looking stones now come with bulit-in speakers. However, the new ZEN Stone Plus now spot a new metallic shade that makes it look less toy-ish. The battery life have also doubled from 10hrs for the previous model to 20hrs. It also supports unprotected iTunes format .AAC files. 2GB for $99, 4GB for $149. An upgrade to the previous T100 model, the T200 now has a colourful LCD screen, FM radio and voice recorder. This plug and play device comes in black, white and pink, plays continuously for 9hrs and cost the same as the ZEN Stone Plus with built-in speakers. Now, here's something weird from Creative. 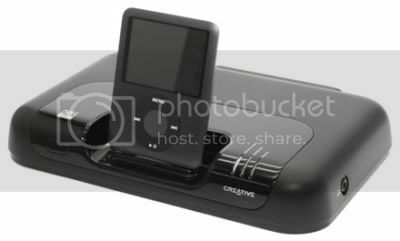 The Creative inPerson is a portable, wireless video conferencing device with breakthrough technology that allows you to video conference via Wi-Fi. 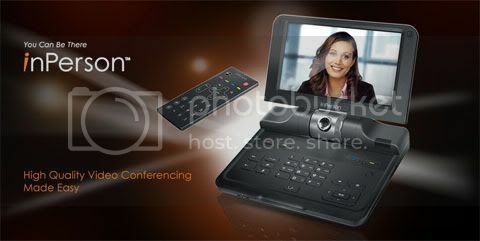 It is a pretty decent piece of device with a 7" 16 million colours screen, high quality video output, double up as a photo viewer with a SD card slot and best of all, you can video conference anyone on their inPerson thru the website. That said, inPerson is expected to retail at USD$820 in the US. No word on the device being available in Singapore as of yet.